Chief Petty Officer Benjamin F. “Benny” McDonald, Jr.
Pls be advised that our 627 shipmate BENJAMIN F. MCDONALD passed away on March 7, 2014 from lung cancer. We did 5 patrols together on gold crew starting in Sept. 1971. A great friend for 42 years. Benjamin F. "Benny" McDonald, Jr.
Chief Petty Officer Benjamin F. “Benny” McDonald, Jr., US Navy, Ret., 76, of Moncks Corner, SC, died Friday morning at his residence. His funeral will be 2:00 PM Tuesday afternoon, March 11, 2014, in the CHAPEL OF DIAL-MURRAY FUNERAL HOME, MONCKS CORNER. Interment will follow in Whispering Pines Memorial Gardens. The family will receive friends at the funeral home from 6:00 until 8:00 PM Monday evening. Flowers will be accepted or memorials may be made to the American Cancer Society, 5900 Core Rd., Ste. 504, N. Charleston, SC 29406. 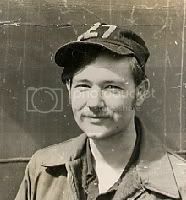 CPO McDonald was born June 16, 1937, in Greensboro, GA, a son of Benjamin F. McDonald, Sr., and Maude Thompson McDonald. He was of the Baptist faith and was a member of the Goose Creek Masonic Lodge #401 AFM, VFW Post #9509, American Legion Post 126, SubVets, and the Fleet Reserve. CPO McDonald enjoyed fishing, camping, gardening, singing, and listening to old country music. He was preceded in death by a sister, Rebecca Roberts, and a brother, Gail McDonald. Surviving are, his wife, Shirley Donley McDonald; a daughter, Janet Elaine Hicks of Ladson; a son, Benjamin F. “Benny” McDonald, III, and his wife, Lisa, of Moncks Corner; two stepdaughters, Lucinda Ambrose and Melinda Blake; two stepsons, Gene Dillon and John Dillon; a brother, Allen McDonald of Conyers, GA; five grandchildren, Benjamin McDonald, IV, Jennifer Smith, Darrell Hicks, Christopher Judy, and Sean Judy; three great grandchildren, Alyssa Smith, Dale Hicks, and Isabella Hicks; and seven step grandchildren, Slade, Justin, Sierra, Austin, Madison, Addison, and Leah. Ah yes, I remember McDonald quite well. He was an excellent southern cook. Because of him, I developed a love for fried breaded oakra, which continues to this day, also hot buttered-grits for breakfast. One of my fondest memories of him is the partrol when we would vote for the "midnight movie", you could always hear McDonald's voice "Rio Lobo, Rio Lobo" starring John Wayne. Must have been his favorite movie and actor. He also loved that Heineken beer! A good shipmate.